Knightsbridge will be showcasing their latest furniture collections at this year’s Clerkenwell Design Week. The design-led pieces will be displayed on Stand PA8, Project Pavilion in the Garden of St James. 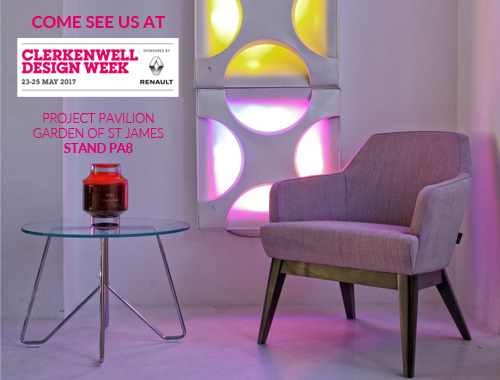 Celebrating its 8th year in May 2017 (23-25) the award-winning CDW has firmly established itself as the UK’s leading independent design festival and annually attracts the international design community to this small area of London for three days of exciting events. To find about more about Clerkenwell Design Week visit http://www.clerkenwelldesignweek.com.